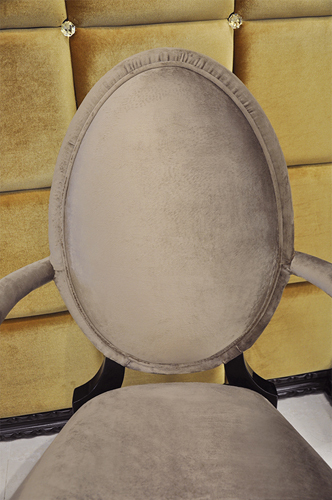 Elegant accent living room chair upholstered in beautiful thick champagne colored fabric with a round back and rich solid wood, rolled arms. 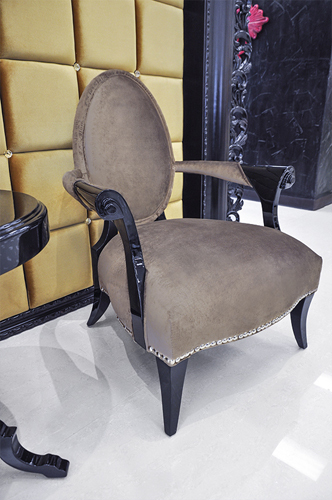 This Designer Chair offers a comfortable seat in a business casual environment or can allow for a chic stand alone figure that mingles well in any commercial space or home decor furniture setting. 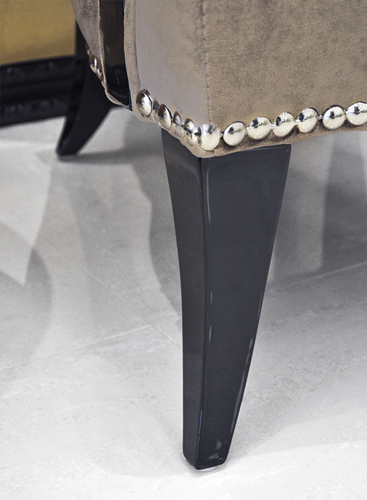 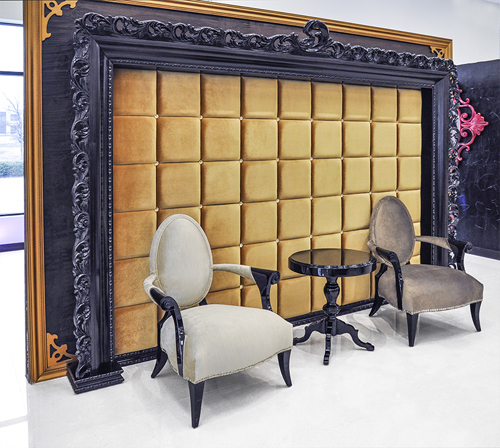 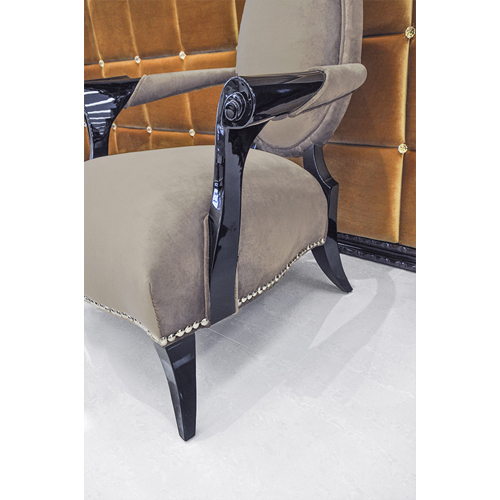 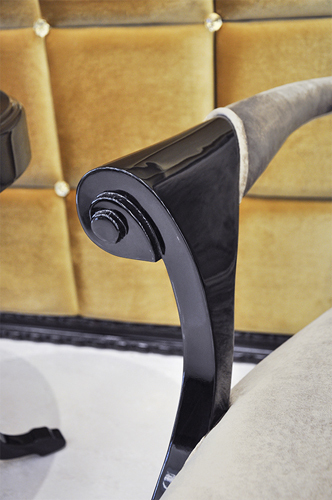 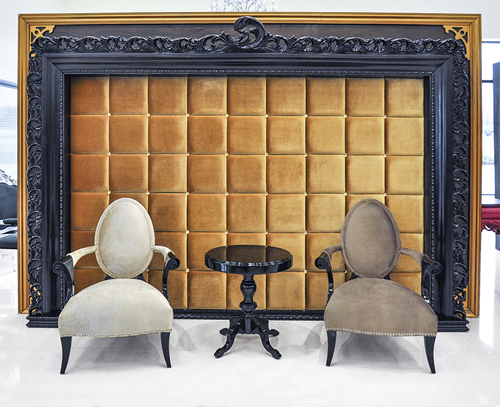 Arm Chair with Black Gloss Lacquer Finish on the Rolled Arms and Legs.